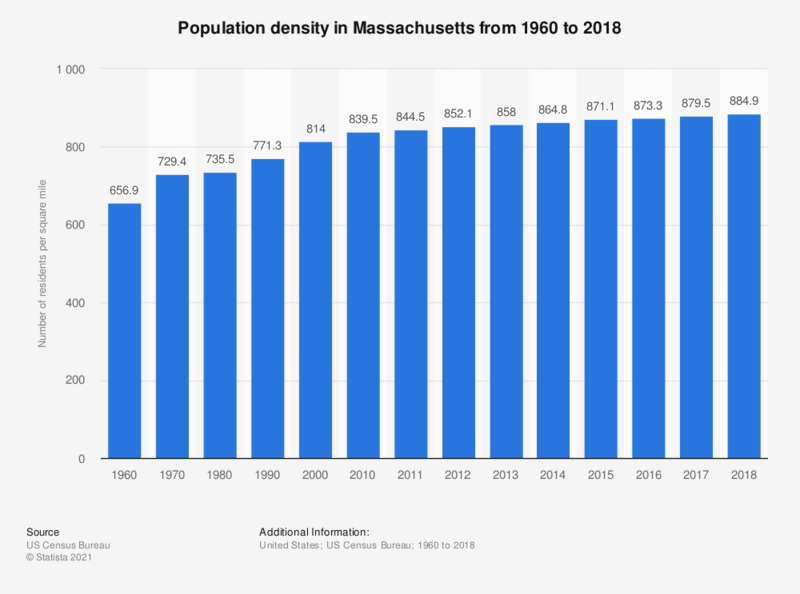 This graph shows the population density in the federal state of Massachusetts from 1960 to 2017. In 2017, the population density of Massachusetts stood at 879.5 residents per square mile of land area. Data for previous years has been derived from respective previous publications. Everything On "Massachusetts" in One Document: Edited and Divided into Handy Chapters. Including Detailed References.